Who is it for? 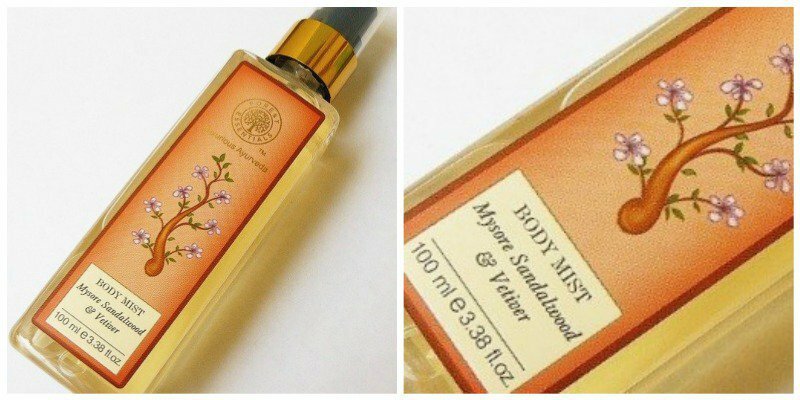 Forest Essentials Mysore Sandalwood and Vetiver Body Mist is a fragrance for all of those fresh fragrances lover like Sandalwood and vetiver. Sandalwood is a fragrance which seems very pure and fresh and this mist is infused with it. It comes in a rectangular bottle with a plastic cap in it. I loved the packing seems😍 very royal and soothing to me. I loved this fragrance for sure !!!! Mist seems very promising to me. Has really a very long stay. I feel its sufficient for a whole day in your normal routine, almost has a stay for 6 hours or more. As I already said I loved the fragrance of sandalwood, so applying this boosts up my confidence and aura. It provides a fresh and cooling sensation to my mind. It is not at all heavy to my senses and does not lead to a headache. I personally loved this and I am very happy with it !!! What all I don't like? No cons for me !!!! I personally loved it !!!!! And if you love sandalwood and fresh fragrances, then you definitely can opt for this !!! Forest Essentials Rose Water Toner | Best Toner for Your Skin ? Strong sandalwood fragrance induces headache for me.. Does it have strong fragrance?